This mandarin lime Hansen's soda cake recipe is based on my citrus almond champagne cake. 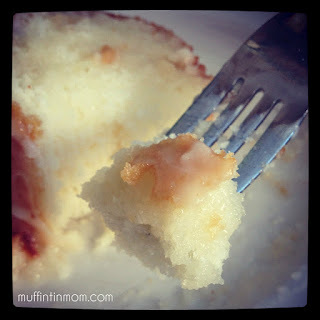 What I love about using Hansen's Natural Soda in this recipe is that with over 30 different Hansen's flavors, the possibilities are endless for creating new cake flavors. Just think what the Mango Orange or Pomegranate flavors would taste like! In a bowl/mixer combine cake mix, 1 1/4 cup Hansen's, Eggs, and oil. Bake at temp and time according to the box directions. Beat in tablespoon at a time of fresh squeezed lime juice and the rest of the hansen's soda until you have a glaze-like consistency. It's completely up to you how thick you want it. Add more sugar or soda as desired. 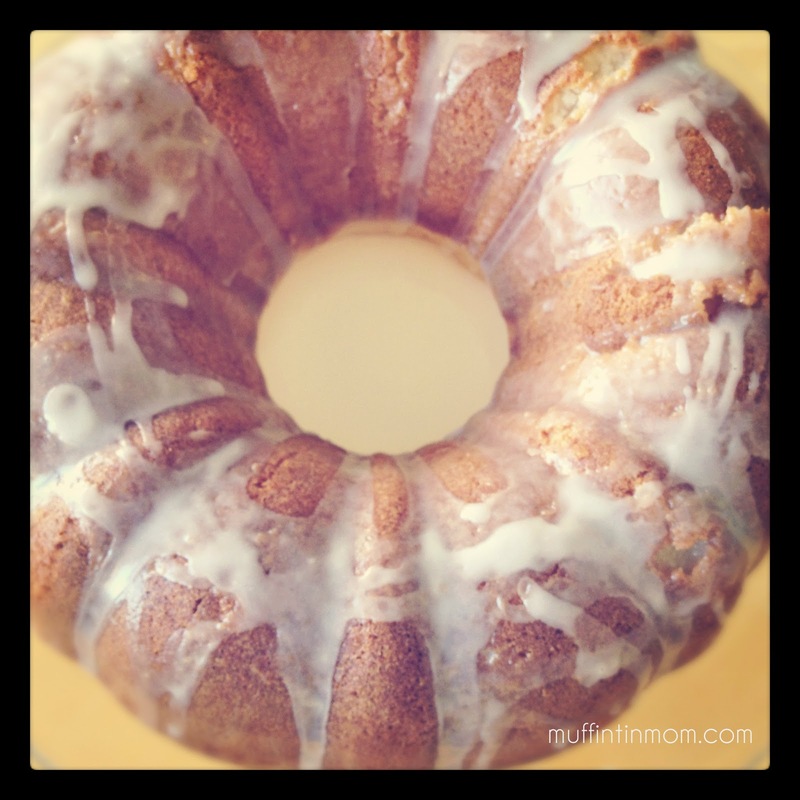 One cake has cooled, pour the lime soda frosting over the bundt cake making sure to cover it evenly. It will pool at the bottom and soak into the cake. (That's my favorite part). Serve and enjoy! It tastes very light and fluffy and somewhere between regular cake and angel food cake. 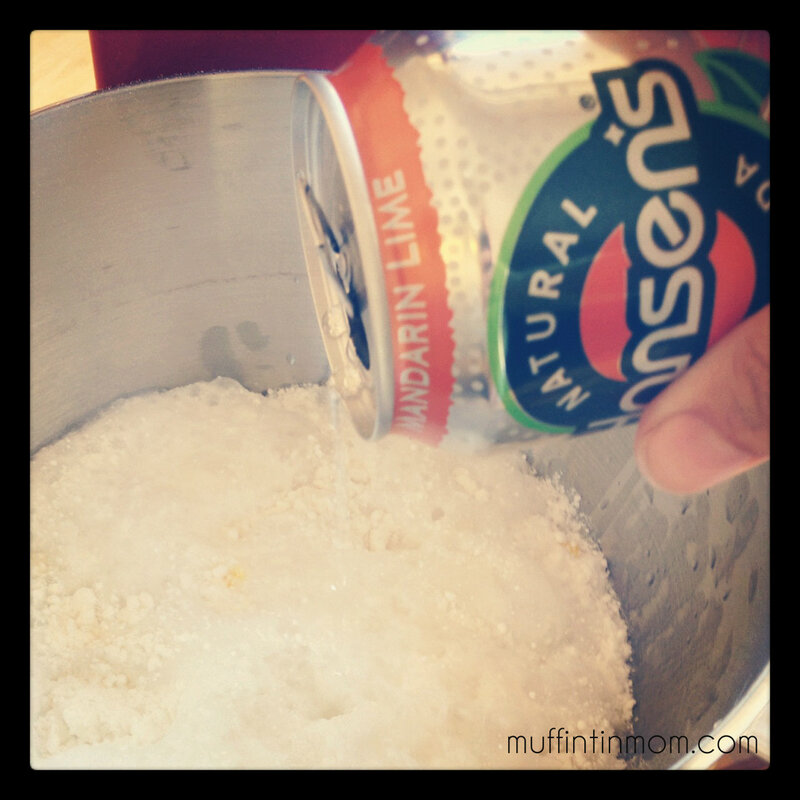 I am so excited to be able to give away a Hansen's Natural Soda prize package to one lucky winner. All you have to do is pop over to Hansens.com, browse their flavors and leave a comment telling me which flavor is your favorite or if you have never tried Hansen's, which would you choose. And I'm telling you right now, you want to enter because getting Hansen's delivered to your doorstep is just plain awesome. And did you know that if your local grocer doesn't carry your fave flavor, you can order Hansen's right from the comfort of your home through Amazon...more awesome. *This has been a sponsored post on behalf of Hansen's Natural Soda. All views expressed her in are my own. Hansen's is awesome and I count it a privilege to have been part of this 3 month campaign. I've never had it, but that cake looks heavenly! diet cherry vanilla creme sounds yummy to me! This really sounds delicious! I would like my slice with a cup of tea please. i LOVE their cream soda and root beer - I would love to try the lime! *fingers crossed* thanks for the cool giveaway! Creamy Root Beer sounds delicious, so does the Cream Soda. Mmmm. I'm not very good at baking, but this looks simple and yummy! I think I'd like to try the creamy root beer or the cream soda. They all sound delicious! I'm not very good at baking, but the recipe looks simple and yummy! I've never tried Hansen's before, but the Diet Pomegranate sounds good. What a fun idea! I've never tried Hansen's - my local grocery doesn't carry it - but I am a sucker for cherry, so I'd love to try the Cherry Vanilla Creme. Mmm! I would LOVE Diet Ginger Ale! :) What a FUN giveaway! Yum! I love Hansens soda, can't wait to try this cake! I've never had Hansens soda, but I would love to try the root beer (I adore root beer) and the raspberry or cherry vanilla creme. Yum! Mango Orange sounds delish! Great recipe! I've gotta try this! We love vanilla cherry cola! So delicious. Hansens is the only soda we'll bring into our home. We have a pack of original cola in there right now! Cherry vanilla cream sounds amazing. I've never heard of this brand, but after all the good reviews and awesome flavors, I will have to hunt some down!! Yum!